I’m a lazy composter. It seems the amount I know about composting the less actual composting I do. I want to be a rock star composter, really, I do. But, I am not committed to it (yet). Blame the city. The city has made it too easy for me to be lazy. The down side of this meant I needed an indoor compost bucket for my compost (things that would easily break down) and another for things I’d rather send to the city (pineapple tops, for example). This got confusing, so I pretty much gave up on home food scrap composting. Then we got chickens. Chickens are what sent me to I-will-not-even-pretend-to-compost-food-scraps territory. *Curious where all that waste goes? Cedar Grove Compost, which has the most advanced food/yard waste set up in the country. Chickens offer up copious amounts of compost material (poop)… but adding another sorting scrap sorting bucket? An indoor bucket for the city, another for our own compost, plus a bucket for the chickens? No way! Too much sorting. Too many options. Now I put everything in the city yard/food waste except things I can easily give to the chickens. I know. I know. There are other ways. There are worms. And worm bins. And food digesters. I needed an intervention. I wanted enough knowledge to make it seem easier. 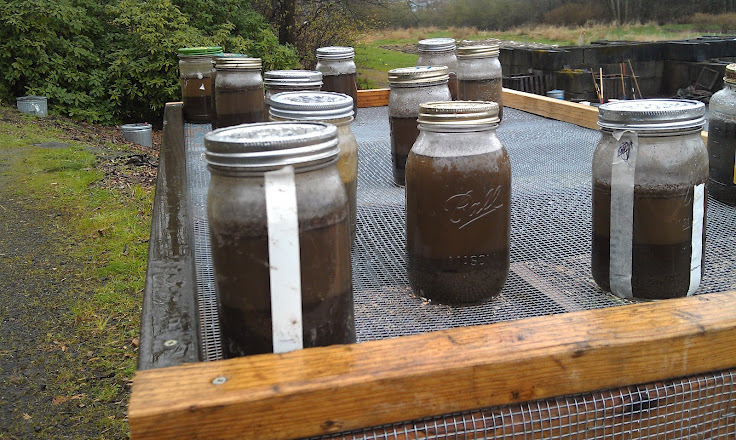 Enter the Seattle Tilth Master Composter/Soil Builder program. Designed as a volunteer program and “a key partner in Seattle’s waste reduction and recycling efforts. 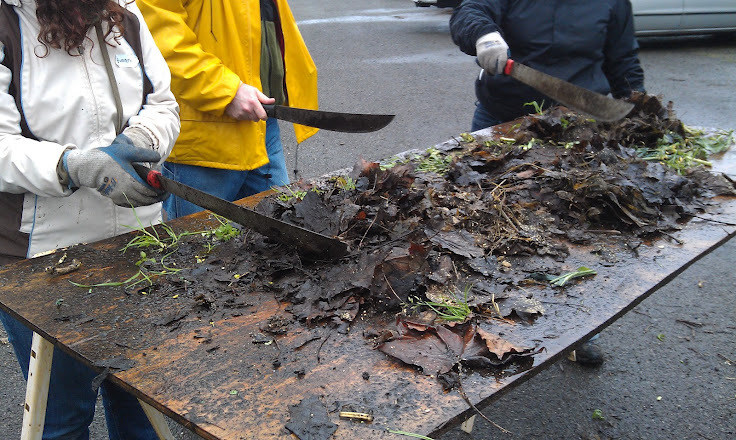 (We) help city residents to recycle food and yard waste at their homes, build healthy urban soils and support thriving landscapes throughout the city.” The program began in 1985 and is funded by Seattle Public Utilities. Pretty great, right? So, over the next few weeks I’ll teach you a few things I learn along the way. And I’ll probably ‘fess up to some more garden secrets I have. And, hopefully, I’ll get some worms. Easy way to check your soil texture. 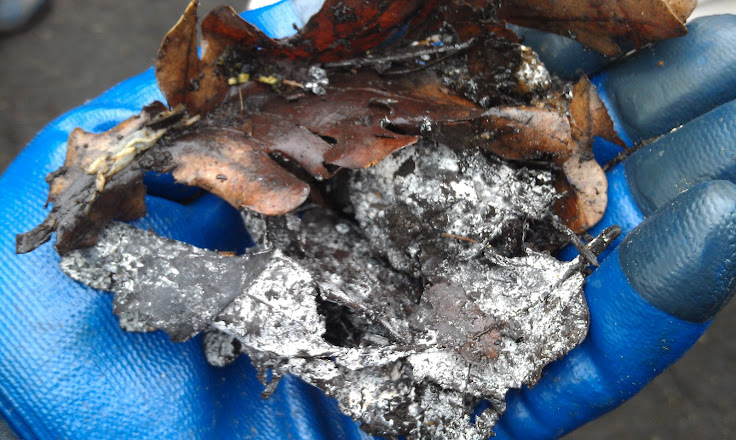 To make compost you need air, water, and organic material. Moisture level of compost should feel like a wrung-out sponge. If it is dripping with moisture, it is too wet. 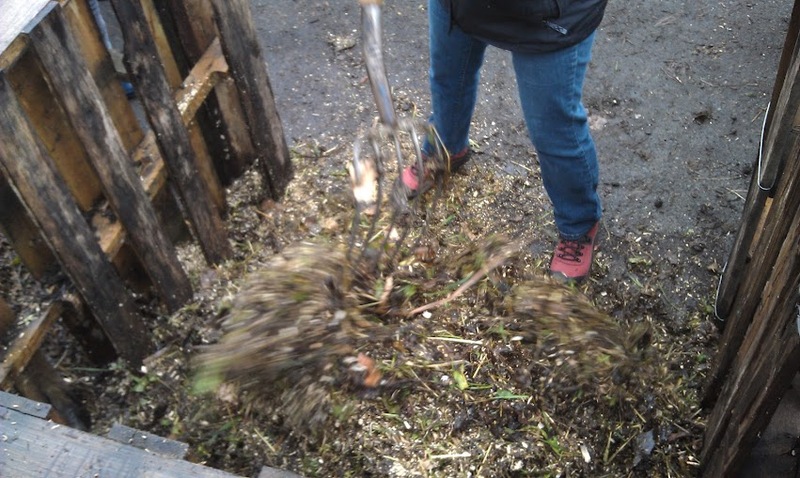 The answer to compost that is too wet or too compacted is to turn it. A mixture of “browns” (carbon-rich) and “greens”(nitrogen-rich) is necessary. You can get bogged down in the science of ratios and percentages, but (at least for now) the important thing is to have some of both. Do you compost? What method do you use? Bins? Cones? Worms? Tumblers? Is your whole family involved? I’d love to hear what works for you, as well as any questions you might have! 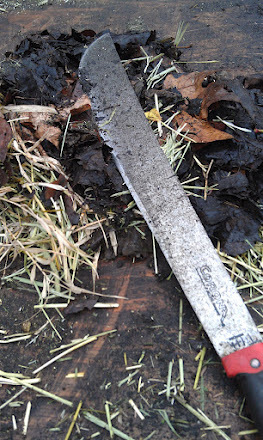 This entry was posted in chickens, Garden and tagged chickens, compost, food waste, Garden, seattle, yard waste. Bookmark the permalink. I have the exact same situation! I LOVE the city yard waste/other compost pickup. But it does provide a disincentive for me to compost at home. I used to keep a city compost bin, a bowl for my chickens, and a home compost bin on my counter (not to mention the vegetable scraps that go into my freezer to make stock). That was too much! So now I really don’t use my home compost cones anymore. It’s more money to buy the compost but obviously less work, and I don’t feel bad since I know that my food waste is being composted by the city. We use plastic compost bins and it seems to work without too much effort from us. I just make sure to layer in dry stuff on a fairly regular basis. We don’t have a municipal composting service or chickens. We are in the same boat! Ever since the City started accepting everything, including oil, grease, cooked food waste, and meat (which is obviously super awesome and really reduces landfill), I have basically stopped backyard composting food waste. We try to compost yard waste, but then the nitrogen is always off, because we don’t have food waste to balance it out anymore. But if it’s a pain for me to separate out two waste piles in my kitchen, imagine the fun of trying to train not just my husband, but also our housemate and my brother, who all live with us in separating food wastes. The very idea overwhelms me. But I also really want great compost for my garden. Gah. We have two repurposed pickle buckets. They were purchased with a stand, so they easily spin.. Even though I’m too lazy to turn them. Thanks for the advice! I’m going to look for more leaves for the browns!!! Even though we are very rural, we still have issues. There is no city pick up, of course… no need for one. We used to just have a big compost pile away from the house but our dogs kept getting into and getting sick. Then we got one of those black composter things but a bear showed up and started dragging it around the property. Now we give nearly everything to the chickens or if it’s moldy I usually just chuck it off the back deck into the woods. 🙂 We have the bag for veggie stock in the freezer, too. I am an intermittent composter. We have two tumblers in the backyard. At times I am good about always putting our vegetable scraps into them, and then months go by when I don’t. I am composting now, so your post could not have come at a better time. Thanks for the info. I gotta remember to put the leaves in! I live in an unincorporated area of L.A. County, and we have yard waste pick up, but nothing like what you have in Seattle. I love the bag in the freezer for veggie stock! I am going to get one started. I am a “it’s organic, it will eventually compost, or the chickens will eat it” kinda person. And it helps that we are doing a composting chicken run. simple. no sorting, just give the chickens everything that was once/is now food. On the down side this now means we recycle a ton more since we used to compost the majority of our paper garbage (mail, boxes, bags, kleenex, tp rolls, etc) as our “brown”. I’m considering buying a shredder, shredding all of our compostable recycleables and putting them in the chicken run too. Then it will even be more simple. I do three kinds of composting: worm composting (in a 3-tier “condo” I got years ago for a birthday present); composting in a big ball-shaped container that can easily be turned (a present for a different gift-giving occasion! ), and sometimes I do a type of pit composting, with materials buried in a trench — I do this for an area I will be planting later on. I really enjoy the worm composting: I actually sort compost materials based on what I think my worms will especially like (melon scraps) vs. less tasty stuff that goes into the big ball. Used coffee grounds (still in the paper cone I use to make coffee) does well in all 3 types, and I shred newspaper (b/w pages only) for my worms, which keeps that out of my city’s recycle system. I like all three types of composting: the worms produce the highest-quality compost and worm tea and make good use of my newspaper; and the other two methods use up the excess stuff that my worms can’t handle. I like to keep stuff out of my city’s trash/recycle collection as much as possible, because the local system actually uses a lot of greenwaste to make cover material for the landfill, instead of composting it. This is such a good topic! I’m glad you brought this up. Composting is my worst subject. I have a compost bin that I put the chicken litter in, as well as stuff I pull out of my veggie garden. I don’t turn it as much as I should and it does not produce as much compost as I need, so I still buy a truck full of cedar grove compost once a year, when I am getting my beds ready and then small bags if I need them throughout the season. I also don’t put any weeds seeds in it and worry about rats, so I still use my yard waste bin for food scraps and weeds. So I do a combo of both and also feed some stuff to my chickens (thinnings and veggie leftovers). Some day I will build a three bin system so I can compost more stuff and turn my pile more easily (which I am hoping will lead to me doing it more often). I have thought about taking the master composter class as well. So cool that you are doing it! I can’t wait to hear more about it! It’s good doing a compost because you recycle a lot of things.